At Yeretsian Law, we provide zealous representation in white collar cases in California. Attorney Lara Yeretsian is committed to providing trusted advice and personal attention all while fighting to achieve the best outcome for you. Convictions for white collar crimes can result in harsh prison sentences and significant fines and penalties. Investigations may take months, even years, before an arrest is made. Due to the complex nature of these offenses, it is vital to have a skilled attorney before you are even charged with a crime. If you are under investigation for a white collar crime, contact our law firm right away to protect your rights. Lara is an experienced trial lawyer who has represented clients successfully in federal cases. She will thoroughly investigate the charges against you and develop a defense strategy that will protect your rights. Her goal is to always find the best possible outcome by exploring all options to minimize or prevent criminal charges. We take the collateral consequences of an investigation and pending criminal charges under consideration from the very start. We know how these charges can affect your licensing and professional career. 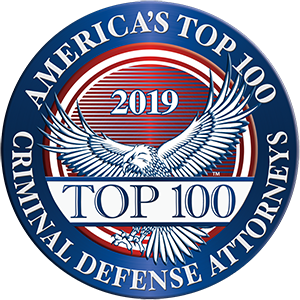 We will defend you in your criminal case and guide you through all administrative law matters to help you find a resolution that keeps your future goals achievable. Criminal investigations can be detrimental to you and your family. Do not wait to contact us if you are under investigation. We will make sure you are treated with dignity and that your rights are protected. Call 888-402-1050 or send us an email to arrange a free consultation to start discussing your case. We speak Spanish, Arabic and Armenian.